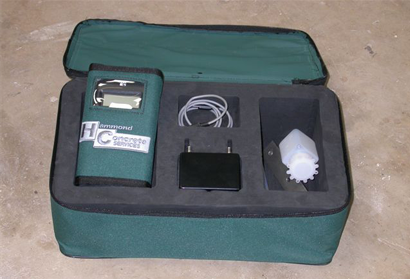 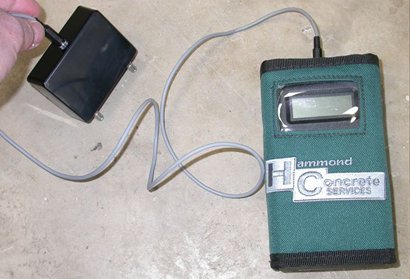 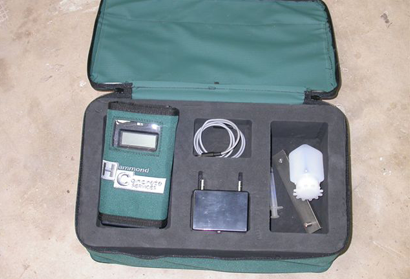 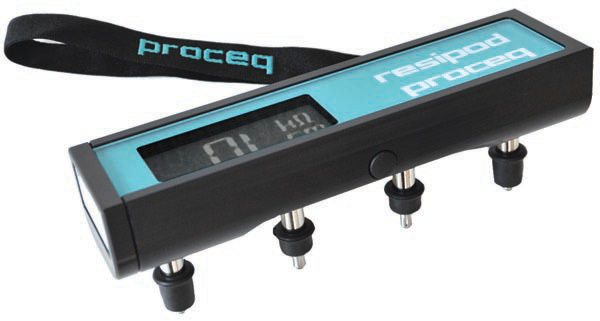 The Hammond two-probe Resistivity Meter measures electrical resistance giving an indication as to the possible rate of embedded steel corrosion. 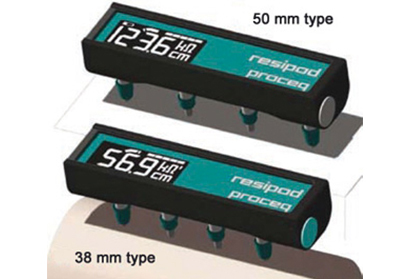 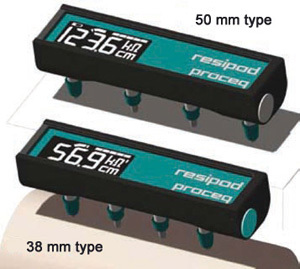 Hammond also provide the Proceq Resipod. 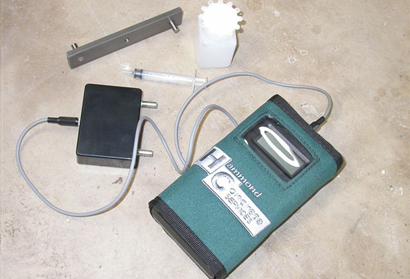 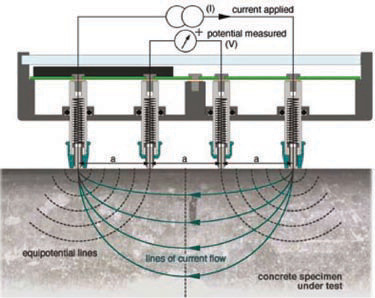 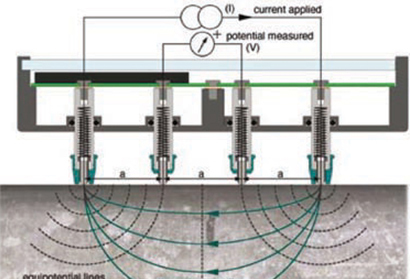 This completely non-destructive apparatus requires no drilling as the probes sit upon the surface under test. 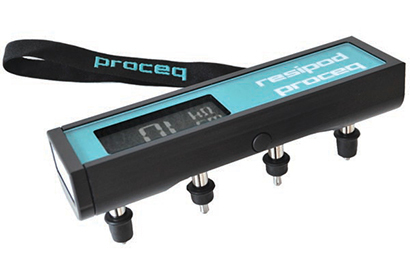 Quick to use, showerproof and robust for the demands of site use. 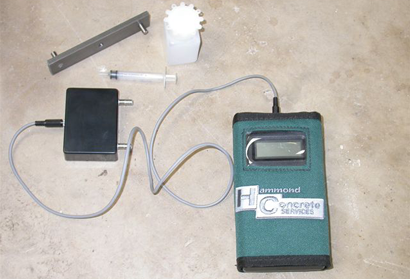 AASHTO 38mm standard or 50mm probe spacing models are available. 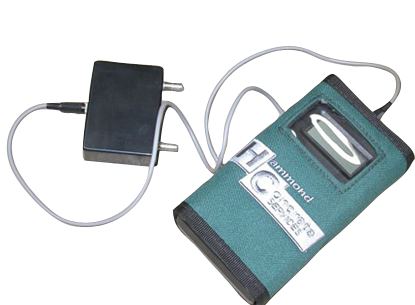 How to use: Drill 2 x 6.5mm deep holes using the drill bit and template provided, inject couplant into the holes and take a reading using the probe.